Let’s face it, meal prep is meant to make life easier but can seem like more trouble than it’s worth. At least it may feel that way sometimes. Am I the only one that can find a whole pile of excuses when it comes time to meal prep?! I love making meal prep so easy that I have absolutely no excuses. It has become my personal “go to” and I swear by it. 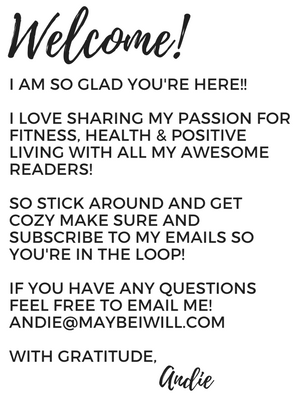 And even though it’s so ridiculously easy, I am sharing this gem with you anyway! Step 1 – Assemble your ingredients. It will take you no time at all since there are only four – frozen chicken, chicken broth, seasoning, and a little olive oil. That’s it! Just add a dash of olive oil at the bottom of the Instant Pot and place the chicken on the oil. Sprinkle on seasoning (my personal fave is McCormick’s Montreal Chicken). I usually can find a big shaker bottle at Costco, but you can also get it on Amazon. Cover with a cup of chicken broth and that’s it. I told you it was crazy simple. Step 2: After adding all the ingredients your Instant Pot should look like this. Add your lid, double check it is aligned correctly and set the knob to seal. Then hit the manual button and adjust the time for 10 minutes if your chicken is frozen. If you were an overachiever and thawed out your meat, set it for 7 minutes. 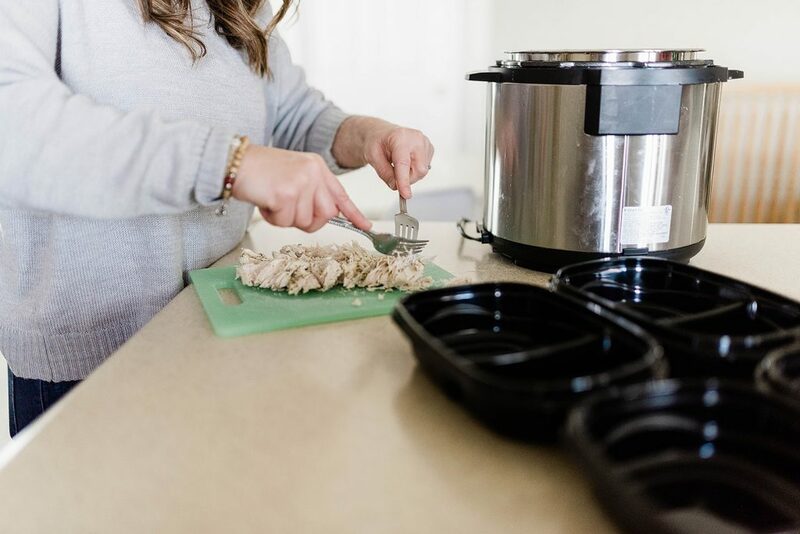 Step 3: Once the chicken has cooked, let your instant pot naturally release for 5 minutes then do a quick release. Step 4: Remove your chicken and shred with two forks. The meat will be tender and shred easily. Portion out chicken into Meal Prep Containers. Or place all in a ziplock bag for use throughout the week. I like to use my meal prep containers for a visual reminder in my fridge to eat them instead of other less healthy options. The easiest recipe for delicious Meal Prep Chicken. Set to manual for 10 minutes if frozen or 7 minutes if thawed. Then do a quick release by moving the knob to vent - act quickly and be careful. I like to place a tea towel over the vent, to prevent the steam from damaging my ceiling or cabinets. Shred chicken and portion out for the week. 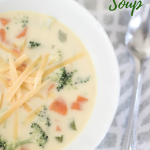 If you do not have chicken broth then water can be substituted. If you do not have McCormick Montreal Chicken seasoning then use your favorite blend. 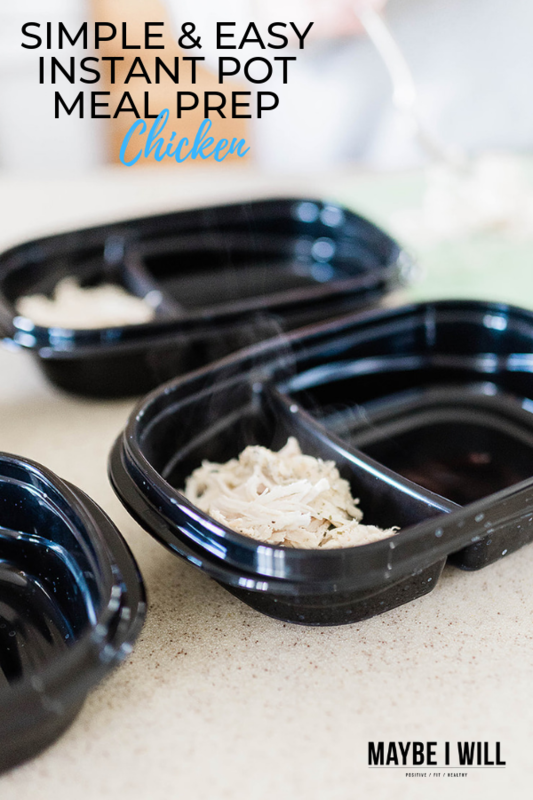 Cooked chicken can be stored in airtight containers for up to 4 days. If you will not use all the chicken within four days it can easily be frozen. One portion of chicken equals 4oz – you can use a kitchen scale or make a pile about the size of your fist. Add cucumbers, tomatoes, kalamata olives, feta, and hummus for a Greek meal. Serve with brown rice, quinoa, farrow, or other grain. Make a Caesar wrap with a whole wheat or low carb tortilla, parmesan cheese, romaine, tomatoes, and Caesar dressing. Add black beans, peppers, avocados, and rice for a Mexican Bowl. Really the possibilities are endless. I just love having a good protein source on hand to help me stay on track. 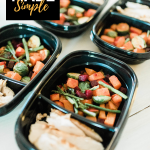 For more tips and help with your meal prep, check out these posts! 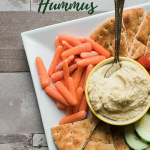 Instant Pot Hummus – Makes a big batch perfect for meal prep! 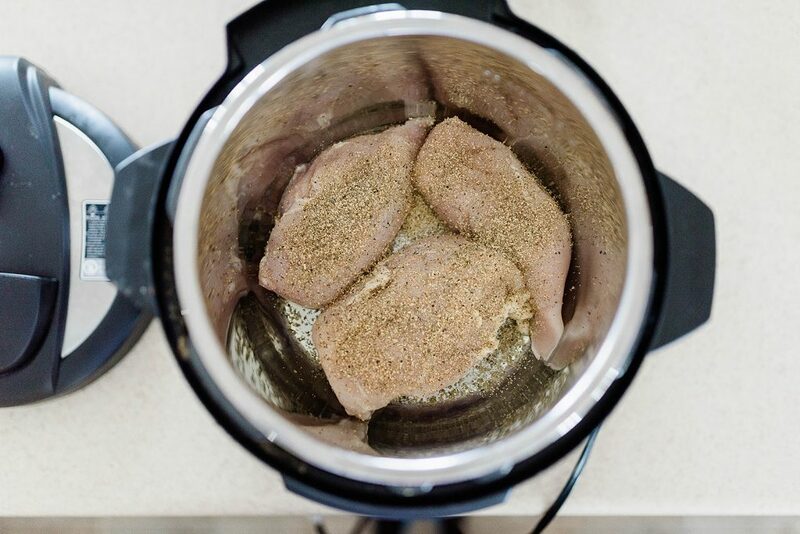 So if you’re feeling the excuses piling up as to why meal prep is too much work, this is the Instant Pot Meal Prep Chicken recipe for you! 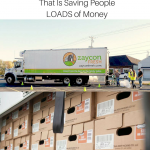 Super simple and EASY! 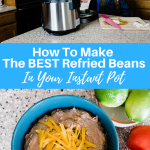 How To Make Refried Beans in Your Instant Pot! « The 10 Best Family Games To Play! This is so great! I love meal prepping! This is the best! Anything meal prep is so helpful! 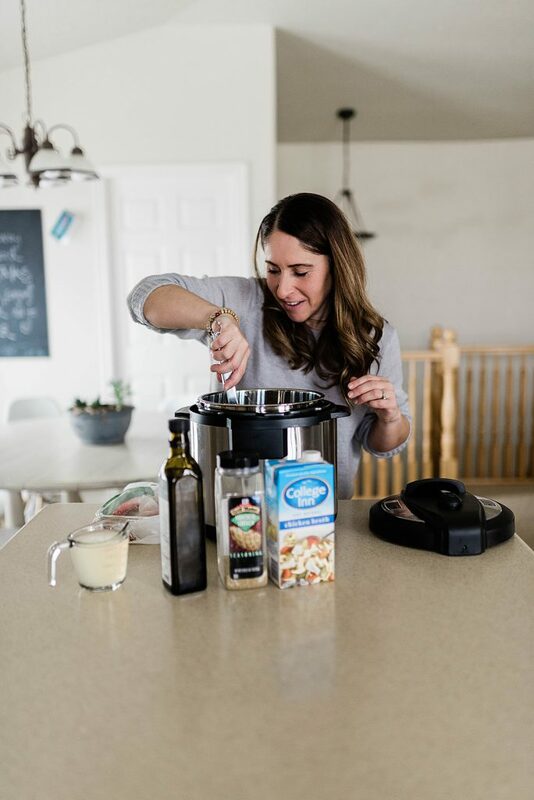 I’ve been in need of some great instant pot recipes. This one looks amazing! 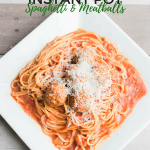 I love using my instant pot for meal prep. It’s always so quick and the flavor is always top notch. I loved it!! Easy meal prep ideas are really helpful! So easy! This is a great recipe to use for meal prep! I always meal prep chicken in the IP! It’s the best!